Taken from my window this morning. 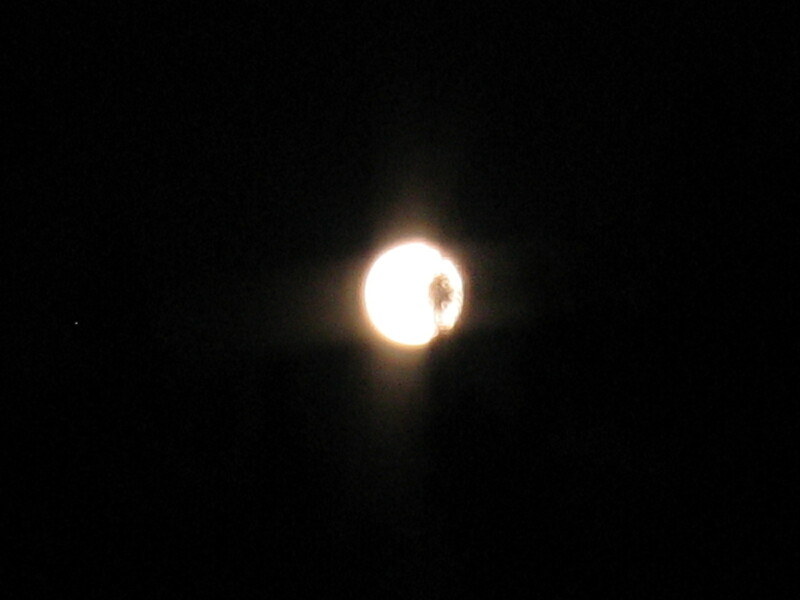 In a couple of hours I’ll be on the road for Michigan, where I’ll see this moon from my tent. A week with no computers, no distractions, no work. This entry was posted in Moon, Summer. Bookmark the permalink.